Do you represent a Maine State Government Agency and wondering how you should archive all your web and social media content? Are you trying to determine what you need to do both from a legal and a technical point of view? Here’s a guide to the different Laws and processes you should follow. Open government is good government and the state is committed to ensuring and protecting your “right to know.”What Laws govern Records Management in the State of Maine? 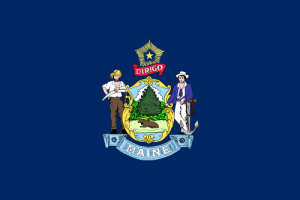 The Freedom of Access Act (FOAA) is a state statute that is intended to open the government of Maine by guaranteeing access to the “public records” and “public proceedings” of state and local government bodies and agencies. Open Meetings Law M.R.S.A. Sec. 403 et seq. Do Maine State Records Laws include Website and Social Media content? Yes they do. NARA state that there is a “[P]ublic expectation that all web content is both permanently valuable and accessible” – and so social media and web records are subject to these standards as well as the relevant metadata being pertinent to these laws. The FOAA defines “public record” as “any written, printed or graphic matter or any mechanical or electronic data compilation from which information can be obtained … that is in the possession or custody of an agency or public official of this State or any of its political subdivisions, or is in the possession or custody of an association, the membership of which is composed exclusively of one or more of any of these entities, and has been received or prepared for use in connection with the transaction of public or governmental business or contains information relating to the transaction of public or governmental business“. A number of exceptions are specified however within the legislation. 1 M.R.S. § 402(3). Social media posts and content are subject to Maine FOAA- so long as the postings or messages were “received or prepared for use in connection with the transaction of public or governmental business or contains information relating to the transaction of public or governmental business.” 1 M.R.S.A. § 402(3). Your agency website must be retained in electronic format and remain usable, searchable, retrievable and authentic for the length of the designated retention period as established by the agency and/ or form of record in question and content placed on state agency social media should be moderated by an authorized, trained staff member. When purchasing and contracting for computer software and similar IT resources, your agency must consider the extent to which it will maximize accessibility and exportability while protecting confidential information that may be contained in the public records. 1 M.R.S. §414. As the format of any record (e.g. paper or electronic) does not establish whether it is a public record that must be disclosed, an agency must archive any and all formats that may be available. 1 M.R.S.A. § 408. How can we transfer website archives made with PageFreezer to the Maine State Digital Archives? PageFreezer exports all data on request in the original file format including the required metadata. This data set can be transferred by FTP or by other means to the Maine State or Agency Digital Archives.